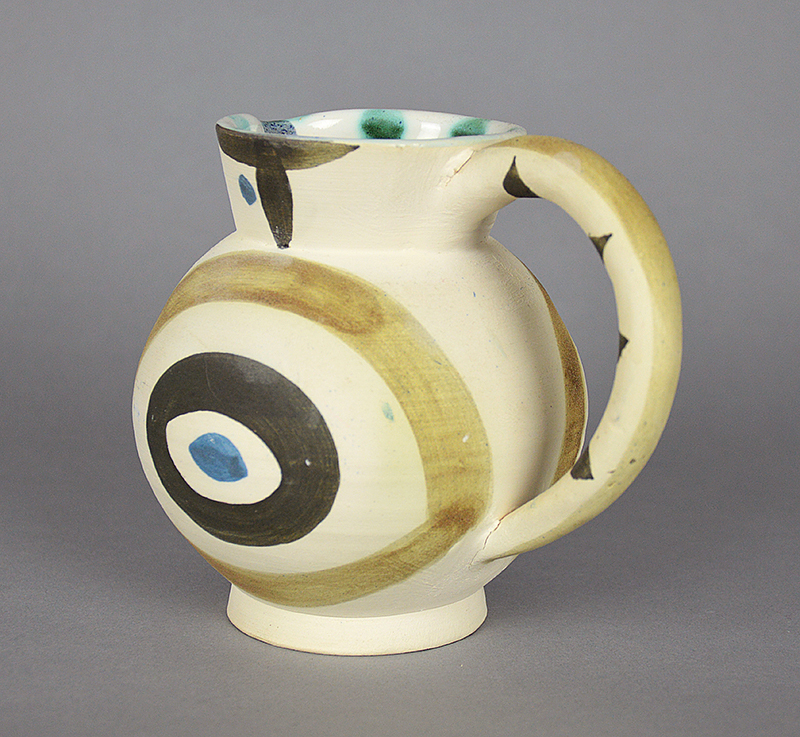 Madoura turned pitcher of white earthenware clay with decoration in engobes (beige, green, black, blue) and glaze inside. 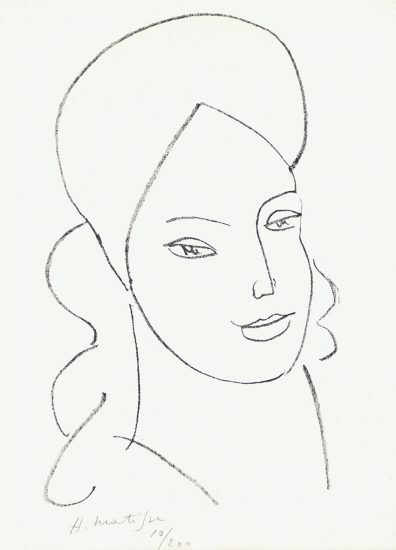 From the edition of 200. 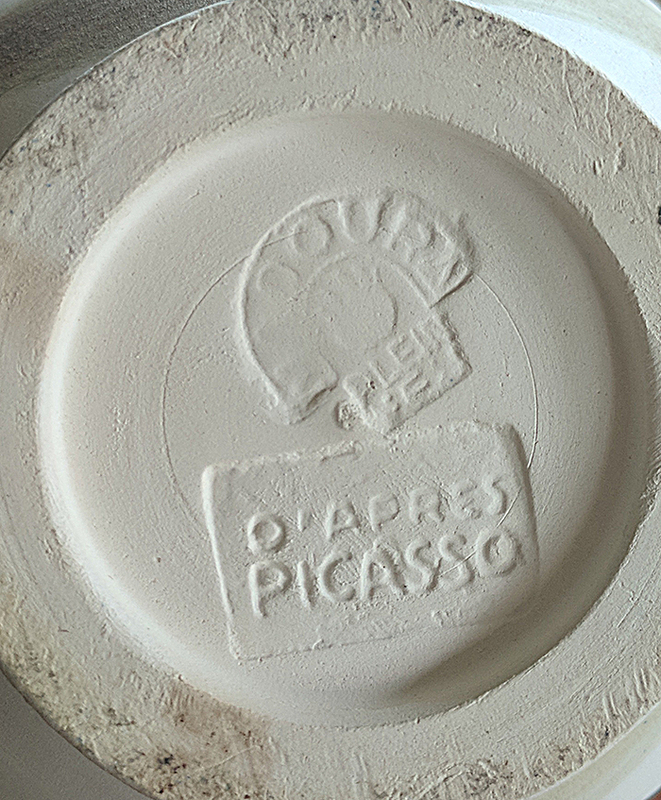 This work is stamped with the ‘MADOURA PLEIN FEU’ and ‘D’APRES PICASSO’ pottery stamps on the underside. 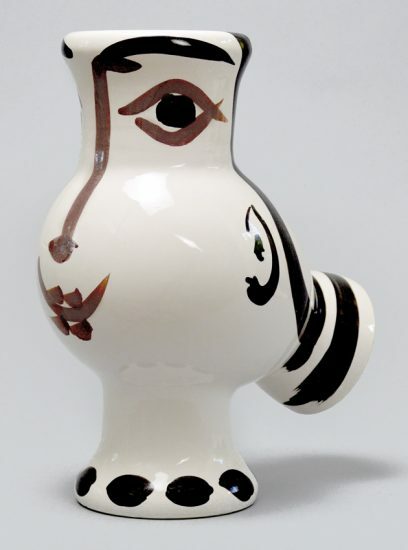 Picasso Petite Chouette (Small Wood-Owl), 1949 depicts a pitcher-turned-owl. 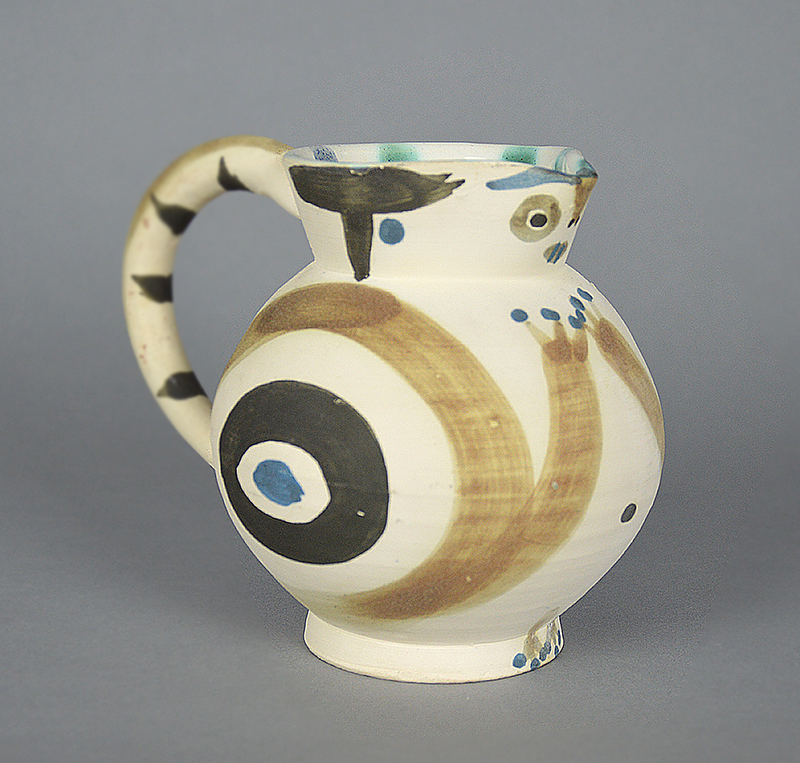 The body of the pitcher becomes the round body of the owl, and small feet defined with blue claws peek out on the base of the turned pitcher. 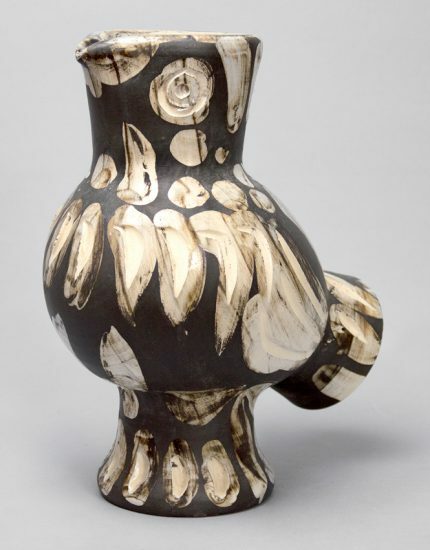 There is little definition of feathers on the body, but the wings are drawn in concentric ovals on the sides of the pitcher, mirroring the eyes of the owl. 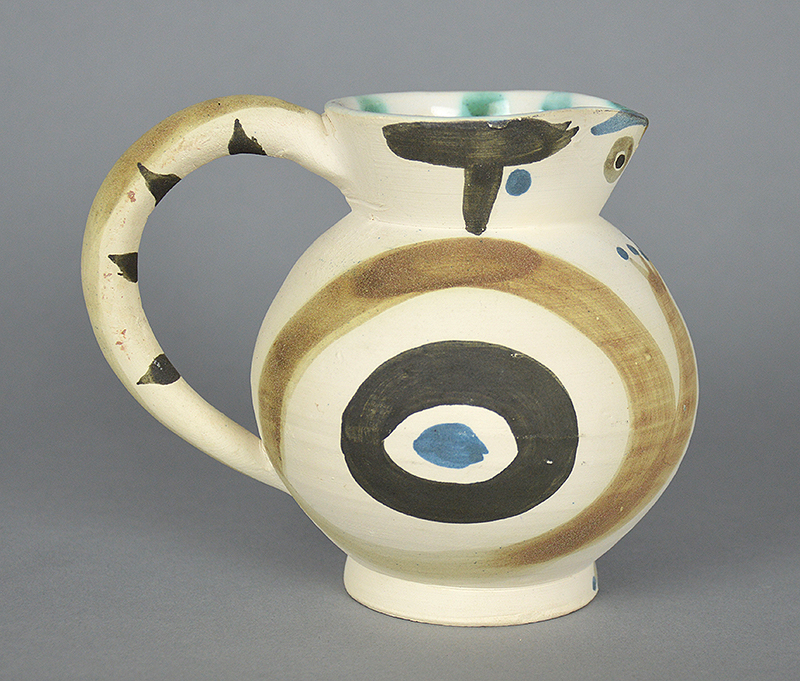 The face rests just below the mouth of the pitcher, utilizing the mouth as the brow line of the owl. 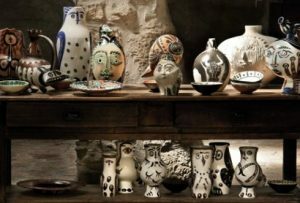 Following the line of the nose straight down, a soft beige line demarcates the center of the owl, passing through the naval. 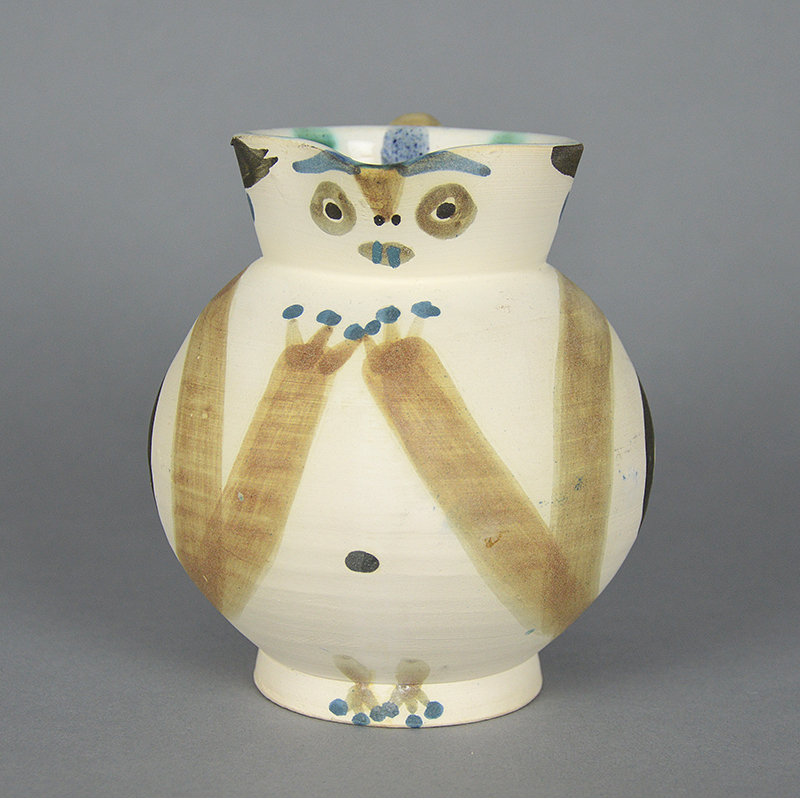 The owl also appears to have fingers, or claws, on a pair of hands, which are lifted in towards the face of the owl. 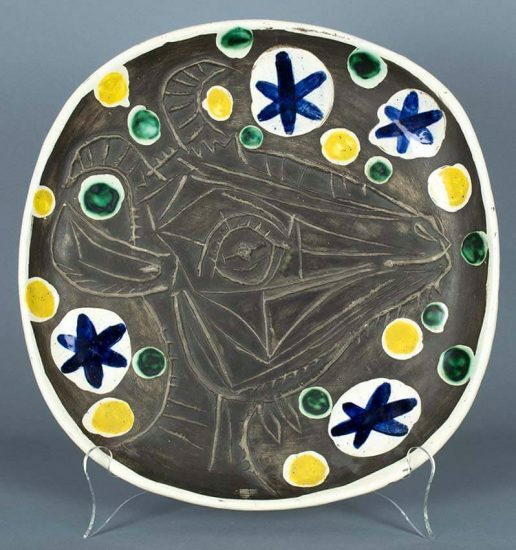 Though not anatomically “an owl”, Picasso expertly conveys the feeling of an owl. 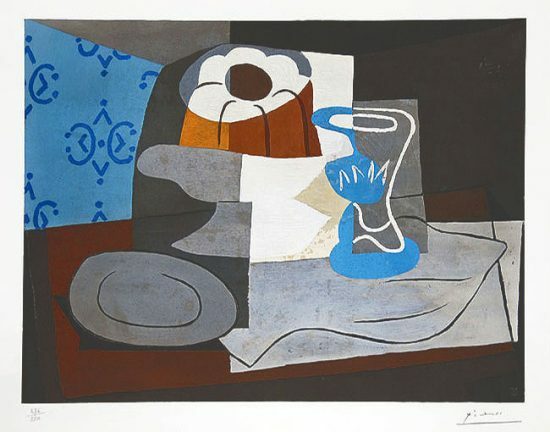 The intense attention to detail, both in the steady large brush strokes and the smaller details, display Picasso’s vast talent. 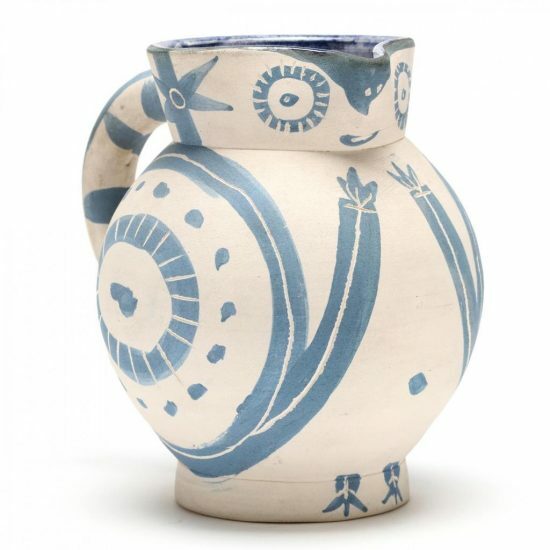 Created in 1949, this Madoura turned pitcher of white earthenware clay with engobe decoration (beige, green, black, blue) and glazed inside is stamped with the ‘MADOURA PLEIN FEU’ and ‘D’APRES PICASSO’ pottery stamps. 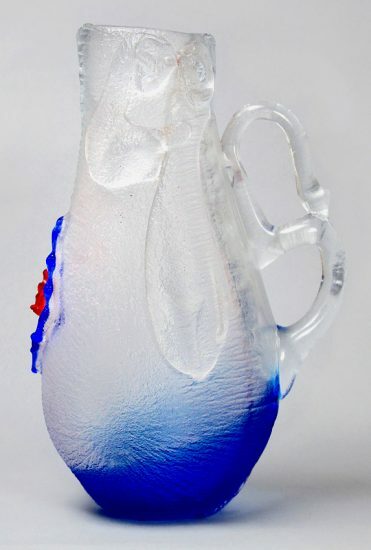 This turned pitcher is from the edition of 200. 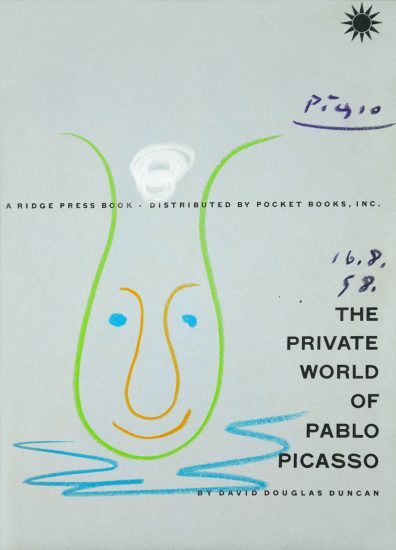 Picasso Small Wood-Owl (Petite Chouette), 1949 is fully documented and referenced in the below catalogue raisonnés and texts (copies will be enclosed as added documentation with the invoices that will accompany the sale of the work). 1. Ramié, Alain. 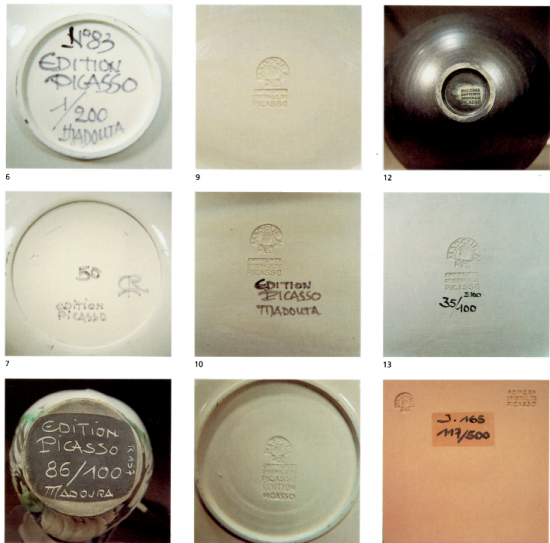 Picasso Catalogue of the edited ceramic works 1947-1971, Madoura, 1988. 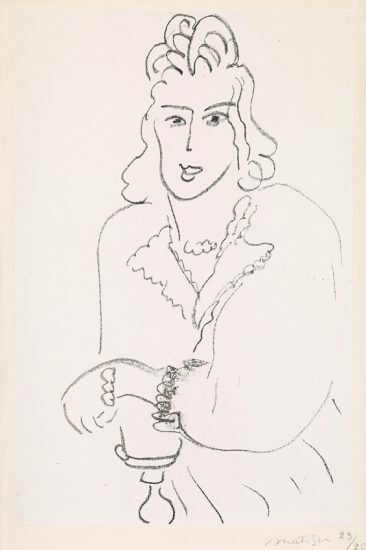 Listed and illustrated as catalogue raisonné 82.